Recent news has focused on drinking water as a source of lead poisoning, and many parents and caretakers are understandably concerned. But as the Coalition to Prevent Lead Poisoning recently reminded parents, the main source of childhood lead poisoning is still lead paint in homes built bef0re 1978, and renovation projects that don’t follow lead-safe work practices. Lead-based paint has been banned in the U.S. since the 1970s, but lead doesn’t go away. It’s still there in paints used in older homes, in soil and dust. Children, especially those under 6 years old, are most at risk from even small amounts of lead. The damage can last a lifetime, including learning disabilities, attention deficit disorder, decreased muscle and bone growth, speech and language problems, and behavior problems. We at Community Health Strategies were reminded of this recently when we were engaged to provide Peer to Peer Home Safety Trainings for the sixth-graders of a Rochester, NY city school. In these workshops, students learn about such safety topics as fire and burns, smoke alarms and exit plans, household hazards, kitchen safety, and poison prevention, which they then teach to their schoolmates. The school’s principal asked us to add an entire student presentation on one particular aspect of poison prevention–exposure to lead. His reason was simple and poignant: a number of children in his school were affected by lead poisoning. Two of these students took on the topic so they could teach others how to help keep themselves, younger siblings and their families safer. Older homes and buildings. If your home was built before 1978 there is a good chance it has lead-based paint, the most common causes of lead poisoning. Folk remedies. Traditional medicines used by many immigrants from Latin America, India and other parts of Asia are the second most common source of lead poisoning in the U.S. and may account for tens of thousands of such cases among children each year. Soil in yards and playgrounds. Lead particles that settle on the soil from leaded gasoline or paint can last for years. Lead-contaminated soil is still a major problem around highways and in some urban settings. Soil close to walls of older houses may contain lead. Dust. Household dust can contain lead from lead paint chips or from contaminated soil brought in from outside. Products. Lead is sometimes found in toys and other products produced abroad, and in glazes found on some ceramics, china and porcelain which may leach into food. Drinking water. Most of the lead in household water usually comes from the plumbing in your house, not from the local water supply. Jobs and hobbies. Making stained glass uses lead solder, and refinishing old furniture can put you in contact with layers of lead paint. Doing renovation work in older homes can expose you to lead paint (see below. What can you do? First, see your health care provider and ask that your child be tested for exposure to lead. In some states, lead poison testing is mandatory. New York State, for example, requires all children to be tested for exposure to lead at 12 months and 24 months of age. Find lead poison programs in your state. Regularly wash children’s hands and toys. 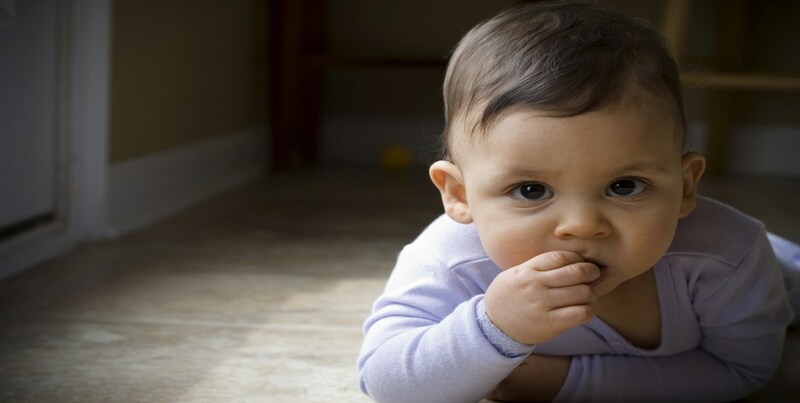 Hands and toys can become contaminated from household dust or exterior soil. Clean your floors with a wet mop and wipe furniture, windowsills and other dusty surfaces with a damp cloth. Windowsills and wells can contain high levels of leaded dust. They should be kept clean. If feasible, windows should be shut to prevent abrasion of painted surfaces or opened from the top sash. Take off shoes when entering the house to prevent bringing lead-contaminated soil in from outside. Prevent children from playing in bare soil; if possible, provide them with sandboxes. Plant grass on areas of bare soil or cover the soil with grass seed, mulch, or wood chips, if possible. Use only cold water from the tap for drinking, cooking, and making baby formula. Hot water is more likely to contain higher levels of lead. If you have older plumbing containing lead pipes or fittings, run your cold water for at least a minute before using. Avoid traditional folk medicine and cosmetics that may contain lead. These include: greta or azarcon (also known as coral calcium and sea coral), a Hispanic remedy taken for an upset stomach and to soothe teething babies; litargirio or litharge, used as a deodorant especially in the Dominican Republic; ba-baw-san, a Chinese herbal remedy used to treat colic pain in babies; ghasard, used as a tonic in India; daw tway, a digestive aid used in Thailand, and kohl, a traditional cosmetic often used as eyeliner. Don’t try to remove lead paint by sanding. Sanding surfaces painted with lead generates large amounts of small particles. Don’t use an open-flame torch to remove paint. The flame produces lead particles small enough to inhale. Cover old paint. Removing old lead paint may not always be possible. If the paint is on tight, without many chips, you can paint over it. You can also use paneling, drywall or encapsulation, which is similar to a very thick coat of paint. Wear protective equipment and clothing. Change your clothes, take a shower and wash your hair before leaving the job. Don’t shake out work clothes or wash them with other clothes. Be careful where you eat. Don’t eat or drink in an area where lead dust may be present. The CDC’s Childhood Lead Poisoning Prevention Program offers prevention tips, data and statistics. Learn more about Peer to Peer Home Safety Training and other training workshops available from Community Health Strategies.